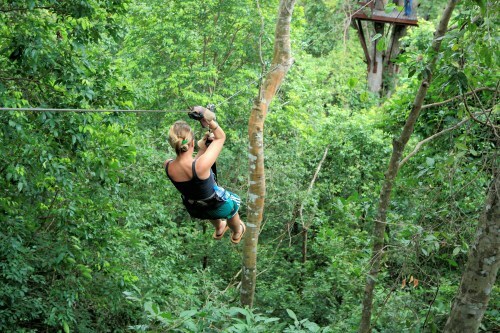 Adventure awaits you amongst the luscious canopy of Thailand's most beautiful rainforests. 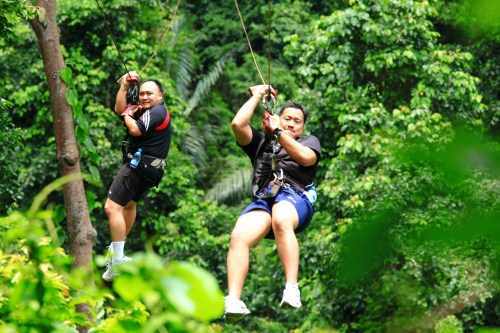 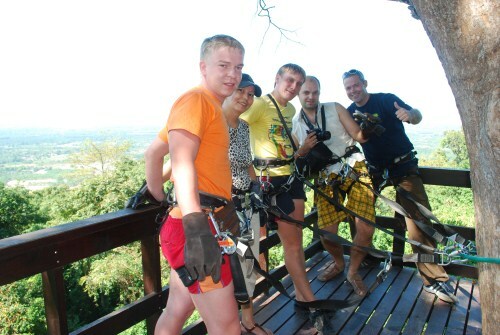 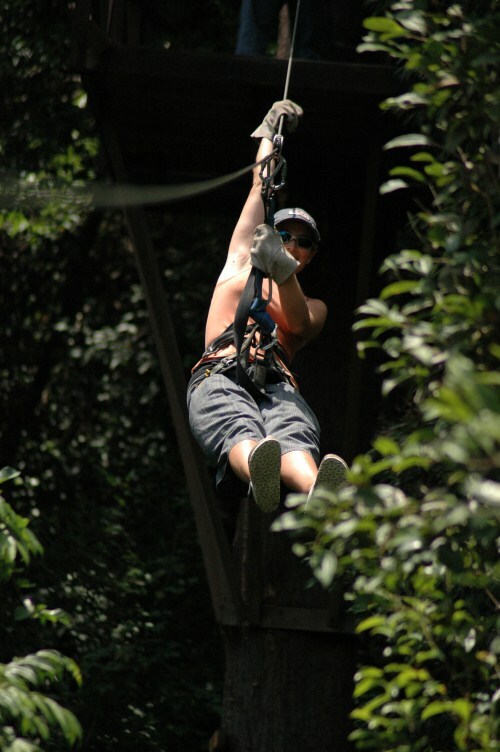 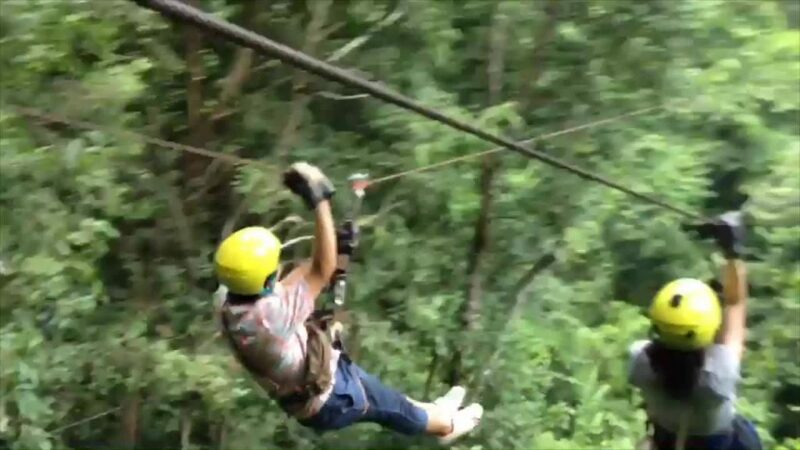 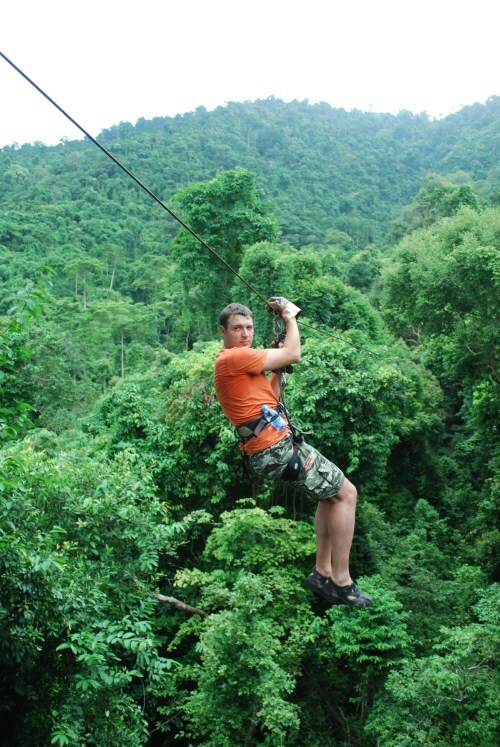 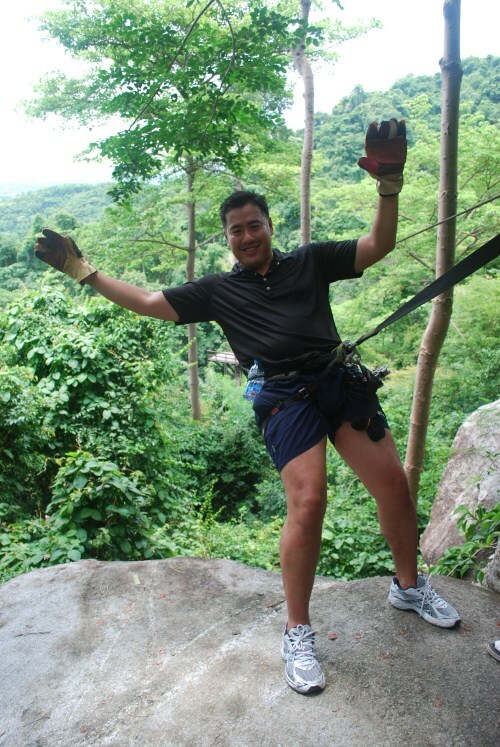 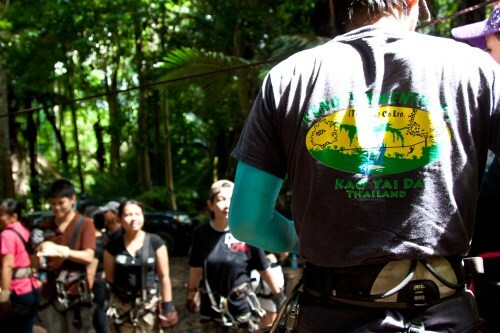 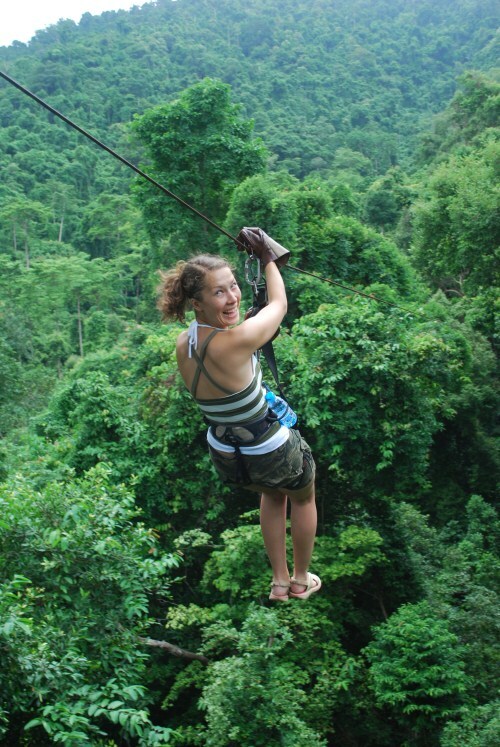 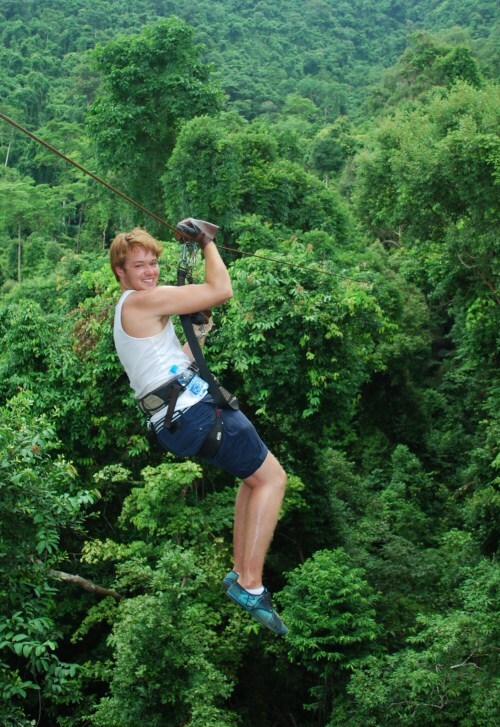 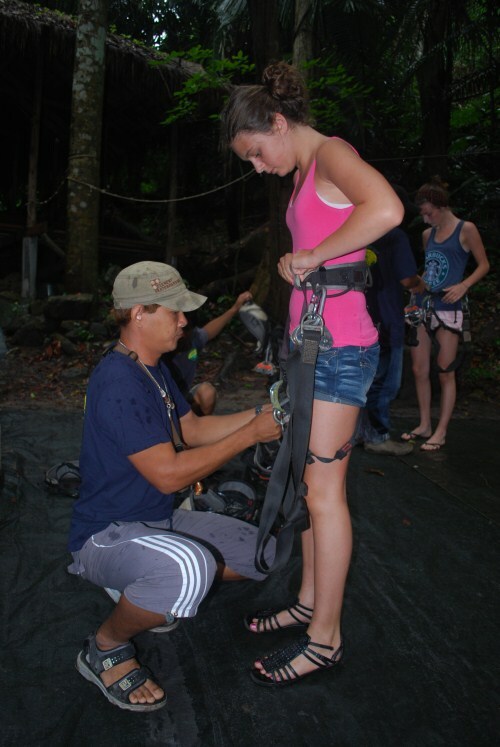 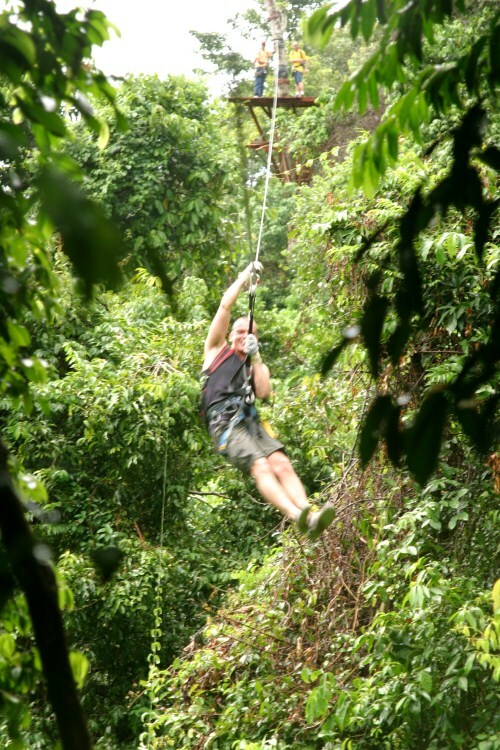 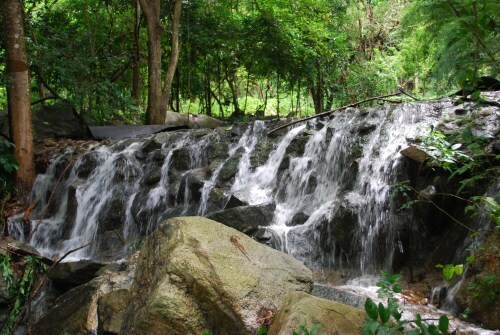 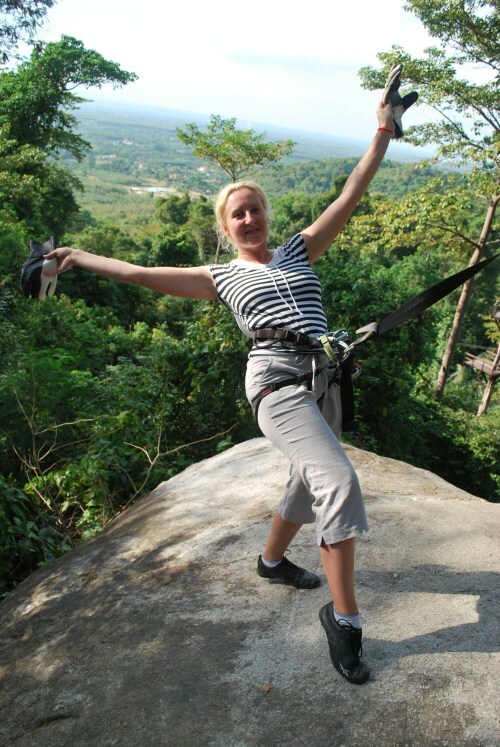 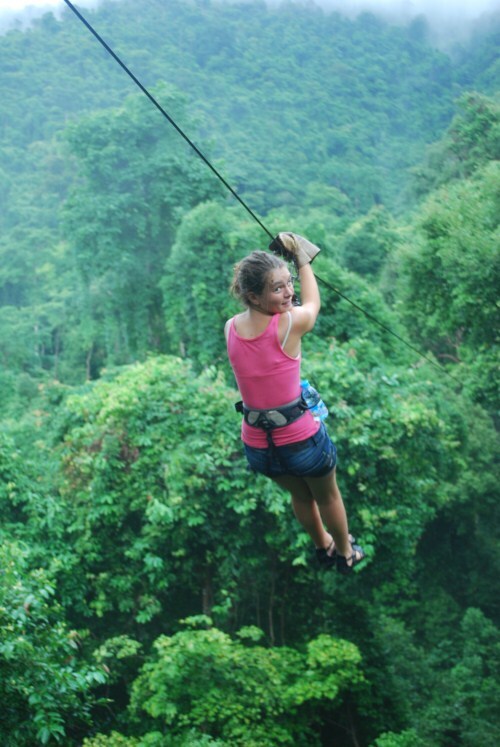 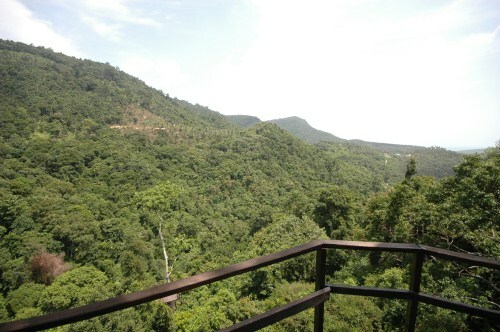 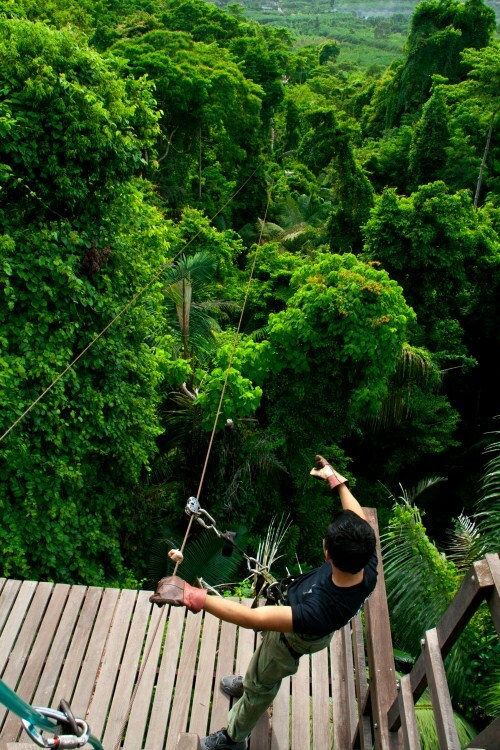 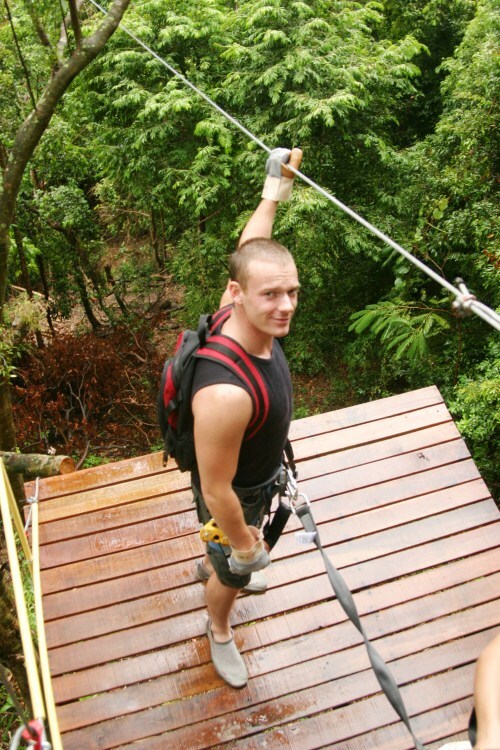 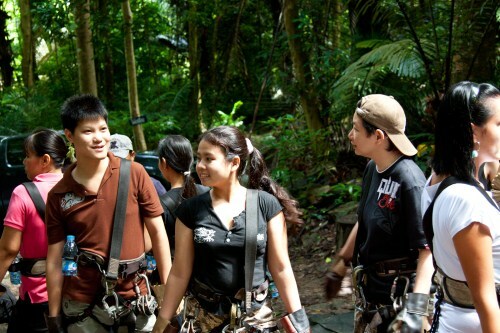 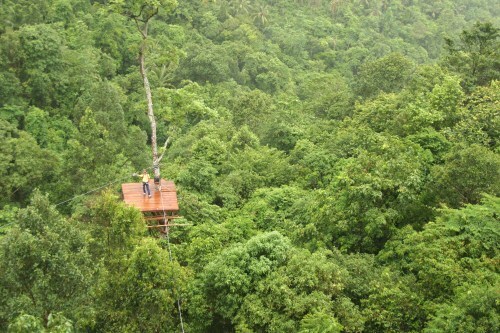 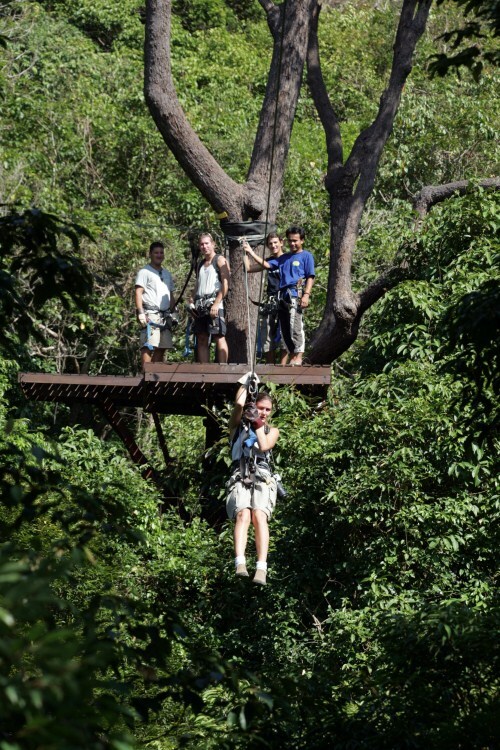 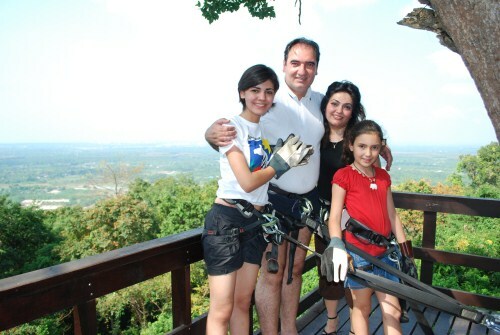 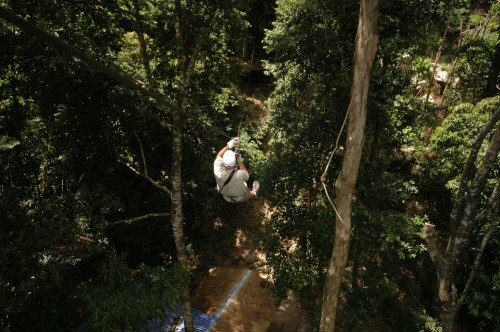 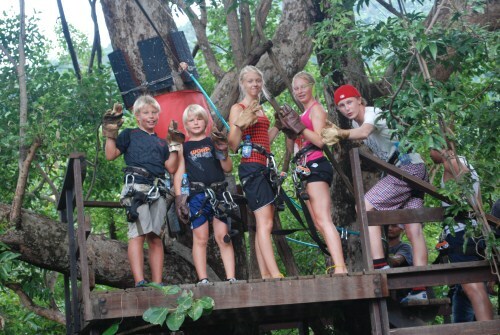 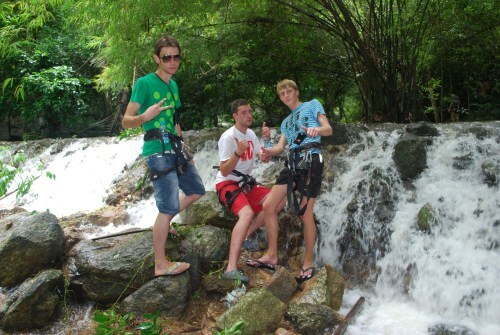 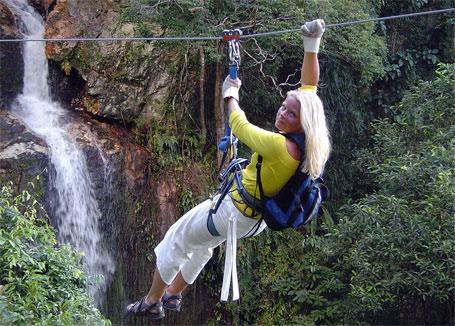 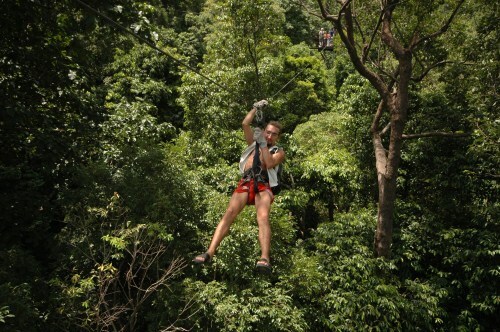 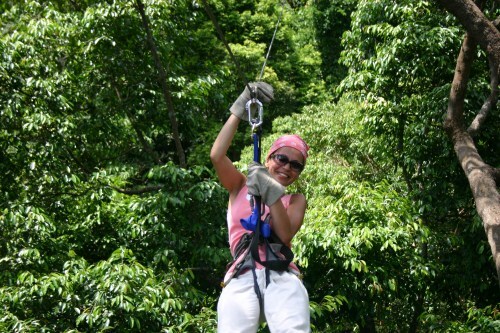 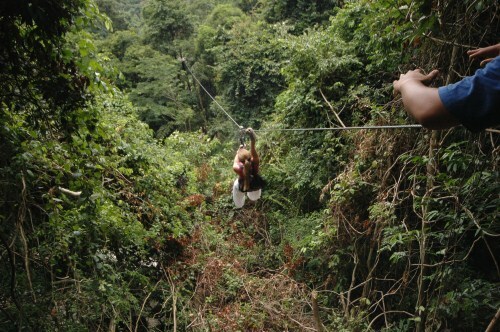 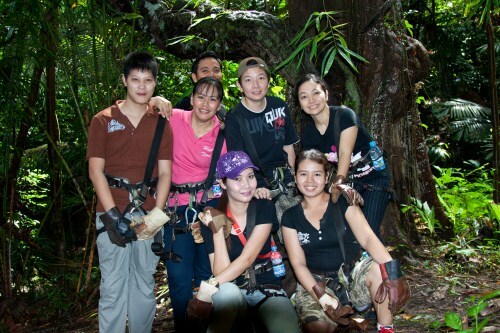 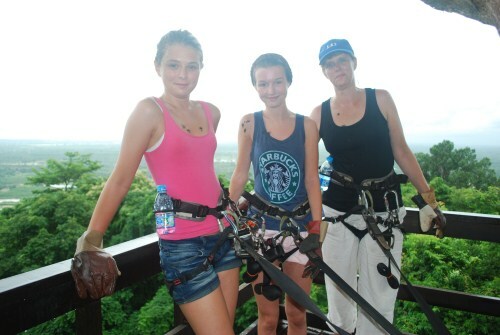 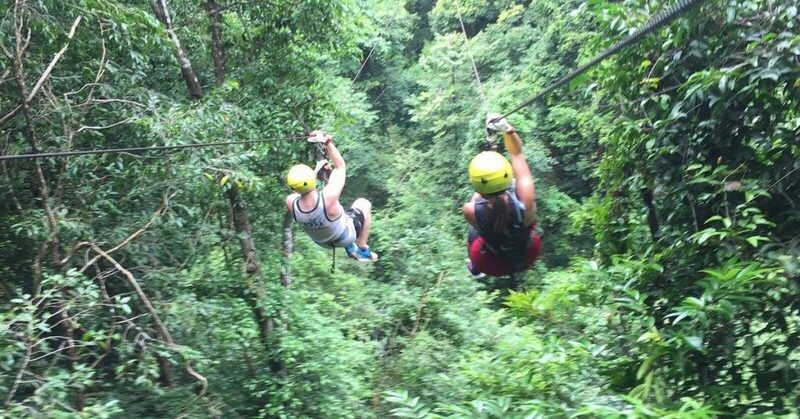 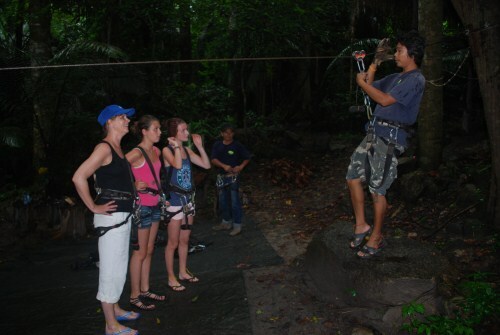 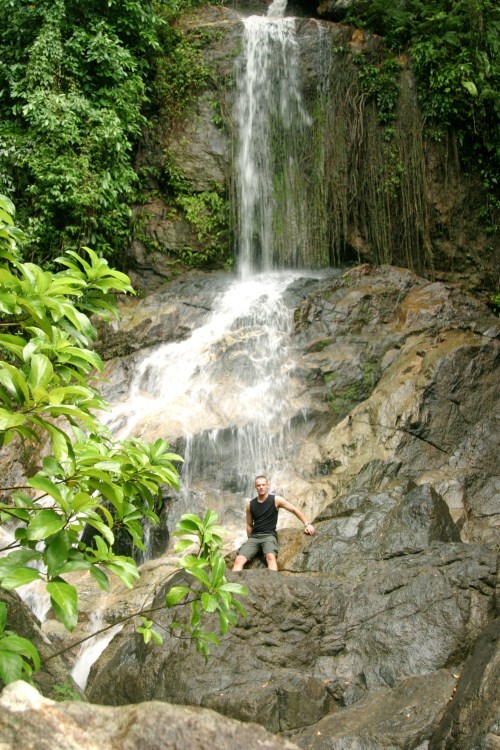 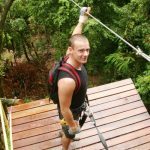 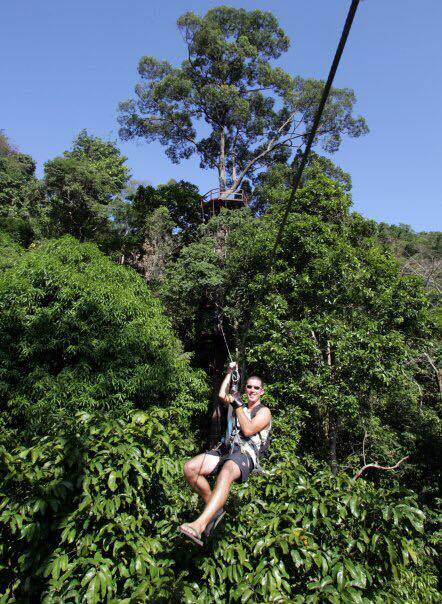 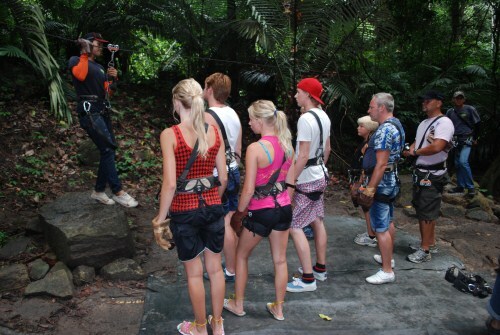 Canopy Adventures is located on the breathtaking island of Koh Samui. 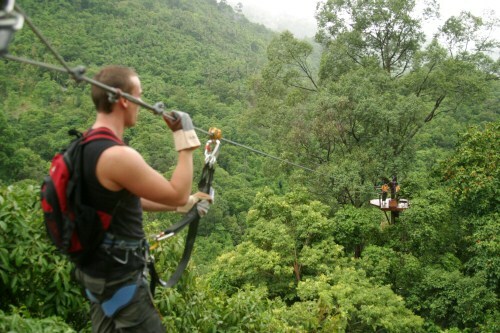 Our Secret Falls base camp is 4 kilometers off the beaten track and our adrenaline-filled ride will have you zipping through the air at speeds of upto 50 miles per hour! 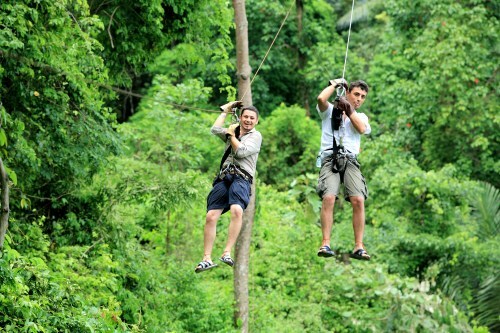 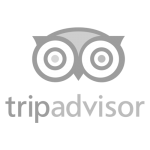 All of our guests agree, it is one of the most exhilarating ways to see, and truly appreciate, the beautiful white sandy beaches, gorgeous waterfalls and abundant nature and wildlife of the rich interior rainforests of this wonderful island located in the Gulf of Thailand. 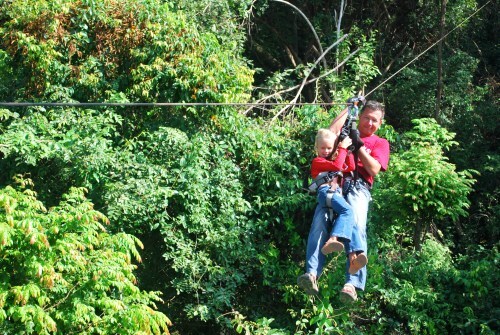 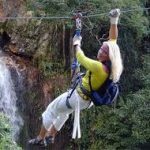 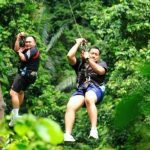 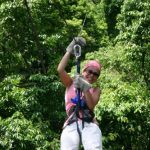 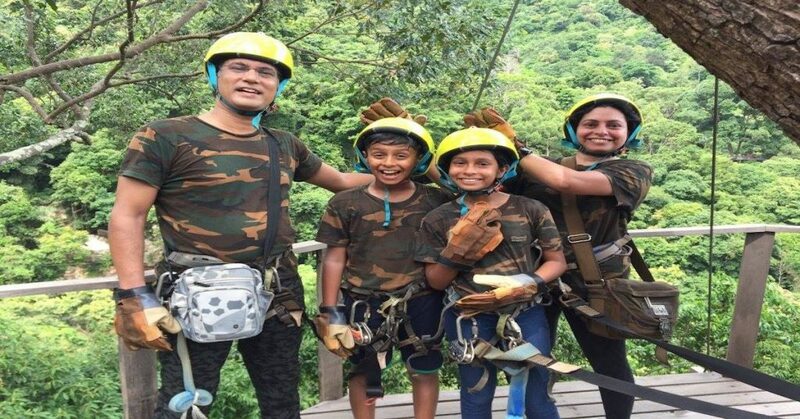 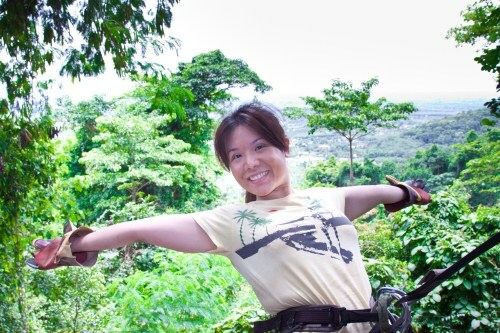 Whether you’re over 7 years old or under 80 years old; a novice or an expert zip liner, our canopy adventure ride with its 21 platforms, 15 cable rides covering over 2000 meters will thrill you. 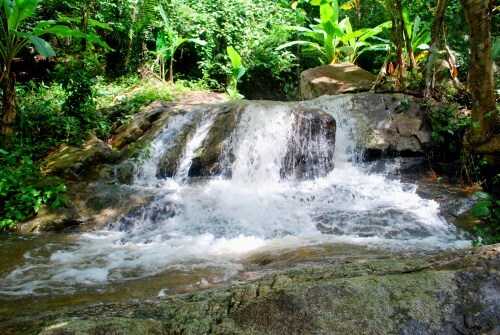 Your adventure with us begins the moment we pick you in our 4x4 Safari Jeeps and head to our hidden Secret Falls location. 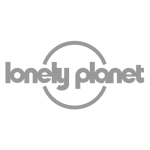 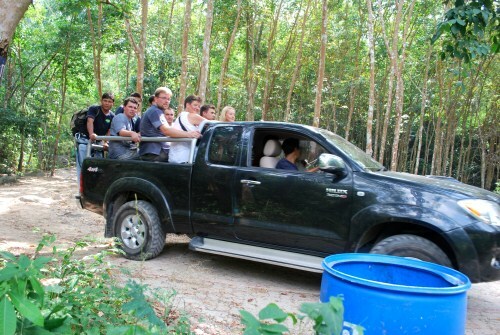 You will enjoy an exciting drive through 4 kilometers of exotic Thai jungle and when you reach the Canopy Adventures base camp, our highly trained staff will great you with refreshments and delicious fresh fruit which is sourced in the lush rainforest which will surround you. 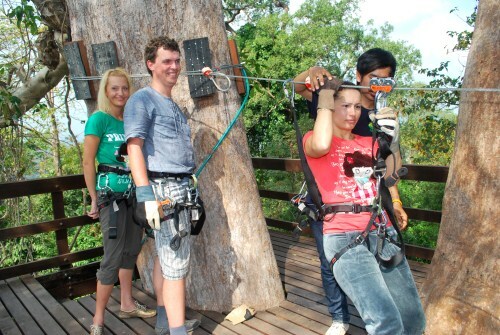 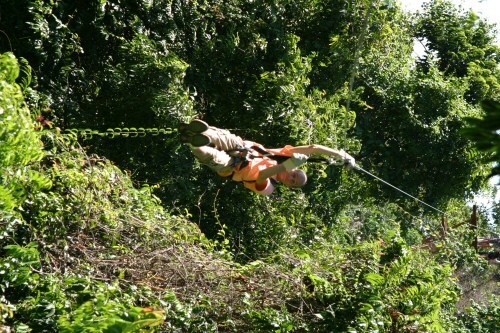 Once refreshed, you will receive your safety harness, gloves, helmet and extensive training. 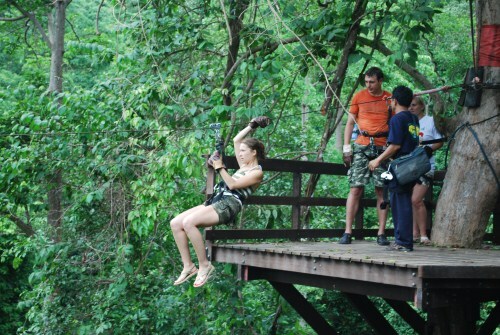 In our practice area our expert and professional staff will show you how to glide; where to hold your hands and how to land safely on each platform, only then will you be ready to experience the adrenaline-filled thrill ride which is Canopy Adventures Secret Falls! 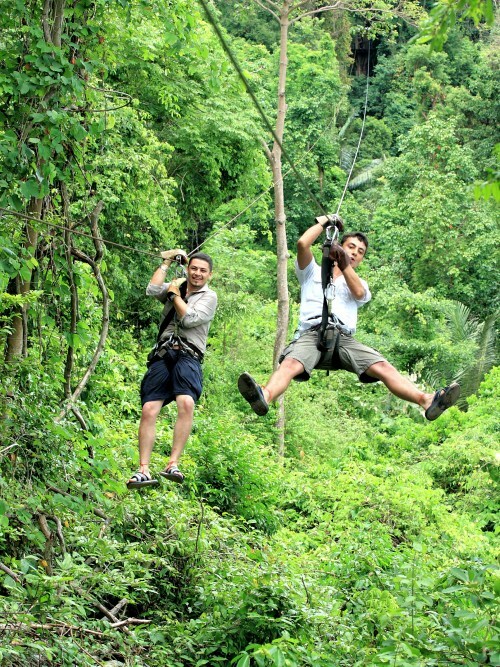 "As much fun as you can have. 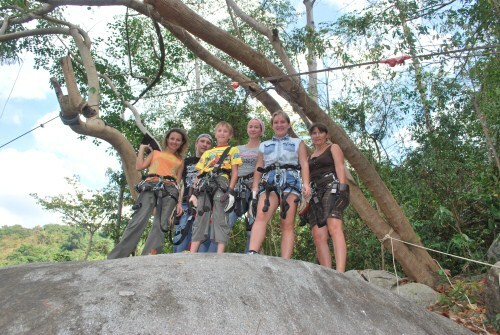 Excellent adventure, guides fantastic"
"We came over last november had a mad time you were all great and the pineapple you fed us was beautiful and a special thanks to emmy who showed us around the island in his own time on motorbikes"
"Just tried the new Canopy Adventures... sited high up in the tropical forest canopy and waterfall, also some stunning treetop views across the countryside to the ocean beyond. 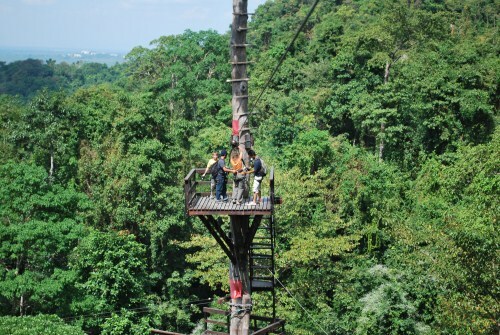 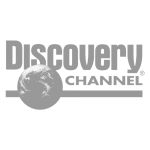 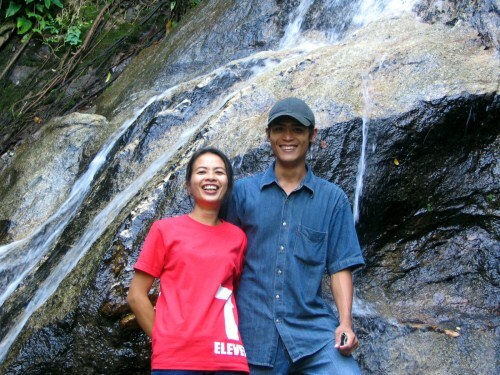 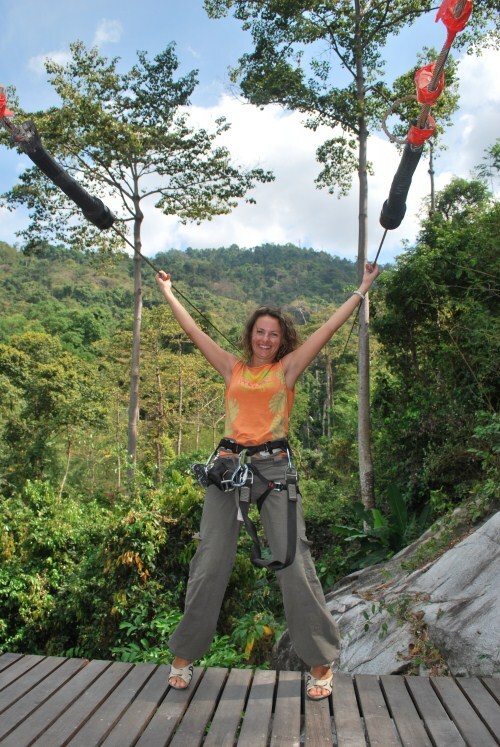 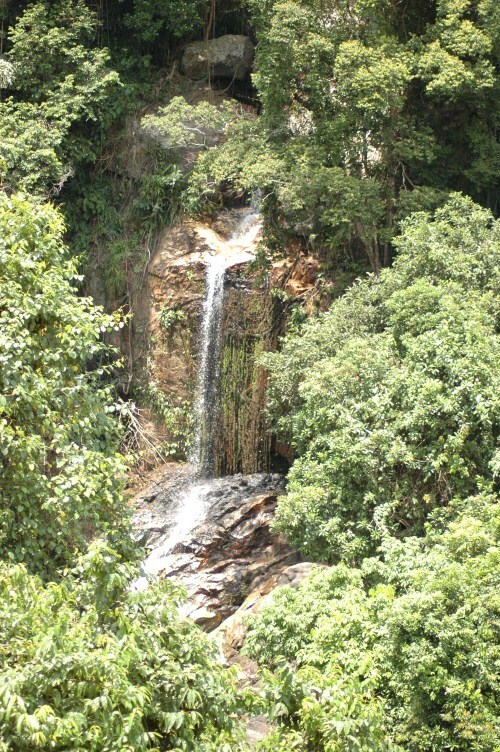 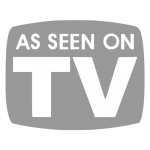 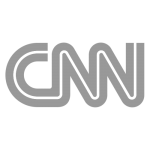 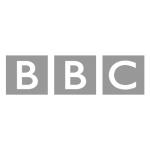 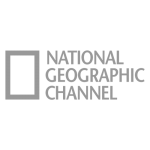 A whole new perspective to observing the nature of the tropical forest." 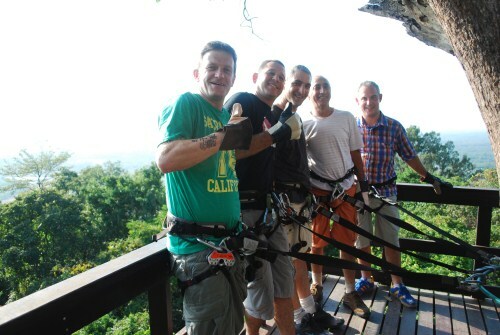 "I lived on Samui for over 5 years,I've been on this canopy ride 3 times and shown a number of friends and family to Canopy Adventures,its a great day out with friendly professional staff go just after rainy season so the waterfall is full but to be honest any time of years good there lol ... peace"
© 2018 Canopy Adventures Thailand Co. Ltd.